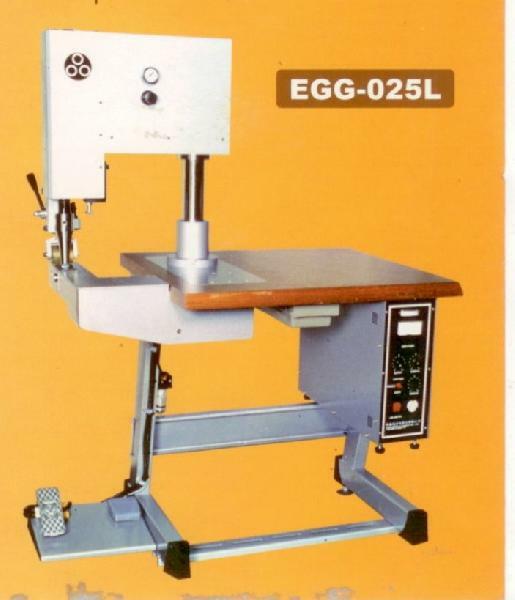 Our organization is graded among receptive and responsible Suppliers of EGG-025L Ultrasonic Surgical Gown Sewing Machine, involved in providing to purchasers across diverse marketplaces. We procure the inputs only from the trustworthy vendors present in the market. We know the importance of the raw materials and thus make sure that their quality will never be compromised. Use ultrasonic technology to weld and stitch the fabric or non-woven together without needle and thread. Humanity design, to tally with ergonomics, easy to operate. With feeding design, control all product with identical quantity. Special Structured design can weld the sleeve easily. Surgical gown, Cap, Shoes, Pillow Case, Duster coat, Anti-static Electricity Clothes, Shower Cap. The Above specification is subject to revise without notice.